Email is a force to be reckoned with for your business. 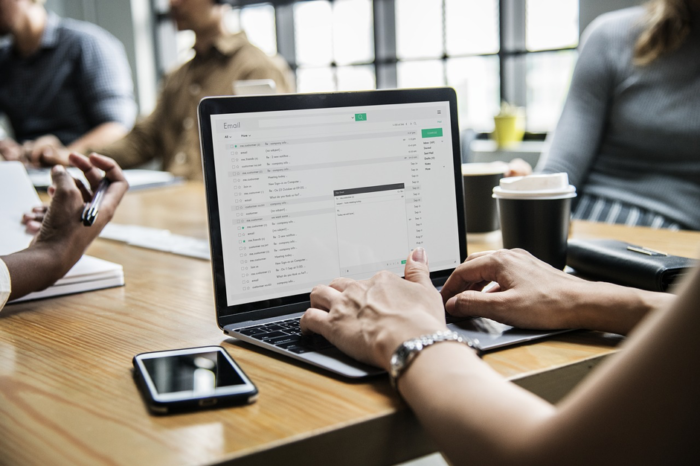 A well-coordinated email campaign can quickly build momentum for your product or service, and recipients favor it, too – 73% of millennials identify email as their preferred means of business communication. The sales email, when executed correctly, can yield impressive results. Sales emails get eight times more opens and clicks and can produce six times more revenue than any other type of email. However, if you want to maximize your email’s success, you need to focus on your subject line. When you consider that a whopping 47% of emails are opened or discarded based solely on their subject line, the importance of an effective and compelling subject line becomes crystal-clear. So, how do you pen that perfect sales email subject line? It all starts with a little bit of creativity. If there’s one place you don’t want your email to go, it’s into the spam folder. To keep that from happening, you must stand out from the rest. The average office worker receives 121 emails a day, which is almost impossible to sift through without quick action. Anything that looks remotely like spam is probably going into that folder immediately. Using your recipient’s name: Simply adding a name to your subject line or email can make a world of difference. Personalized subject lines can increase open rates by 50%. Adding an emoji: In today’s text-based world, emotion is shown through those unique emoji characters we have at thumb’s reach. An emoji placed in your subject line or email makes a statement and catches your recipient’s eye. In fact, 56% of brands using emojis in their email subject line have a higher open rate. Adding a video: Adding a video to your email can increase your click rates by 300%. In this visual world, videos add another layer of personalization to your messages. Creativity is critical to keeping your emails in the inbox where they belong. However, being in the inbox itself is one thing and being opened is another. To share the information you want to communicate, you’ll need a sales email subject line that sells. Your sales emails will require some thought. Consumers are looking for businesses to take a little bit of extra time and create personalized customer experiences that are memorable. To help you do a bit of the extra lifting, we’ve compiled a list of proven effective sales email subject lines you can start using today. Subject Line #1: Hey [Name], [Question]? Answering a question for someone often gives people a sense of pride by being the one with the answer. Plus, it feels good to have someone call you by your name. This subject line does both, grabbing your recipient’s attention quickly. Start by getting to know your recipient, what they enjoy, or what business they’re in. Ask them a question pertaining to that hobby or business that would interest you. Most questions provoke a response, which makes this a great strategy. Just remember to be authentic and genuine – your recipients will see through anything that’s less than sincere. People are always interested in free knowledge, especially when it’s regarding something they care about. This subject line will require some basic research prior to sending; however, it works. Is the email going to a prospective customer? Maybe you reach out with an idea on how to improve their daily life or reduce the time they have to spend in the office. Is the email going to a prospective partner? Maybe paint them a picture of how the partnership would work. Whatever it is, make it compelling and worth reading. Subject Line #3: We have [Insert Common Fact] in common. One of the goals of any email strategy is to build a relationship. This subject line builds on a relationship that hasn’t even begun yet. By taking the time to find common ground with your recipient, you show a level of care and interest that spam emails just don’t have. Plus, your recipient is learning more about you, making them feel connected to you almost instantly. Subject Line #4: Feeling [Emotion]? I can help! Anyone who creates marketing material understands the importance of speaking to an audience’s pain points. Your sales emails should be no exception. What problems can you solve for your recipient? Why would they need your product or service? Take some time to better understand your audience’s needs, then use those needs to craft emails that aim to help. For prospects who are ready to accept help, this email will be a breath of fresh air in their inbox. Subject Line #5: A [Good Benefit] for [Recipient’s Company, Pain Point, Etc.]. The ultimate goal of your sales email is to lead a customer to make a purchase or lead a client to reach out to you through a properly-placed call to action. But why should that individual reach back out to you? Better yet, why should they purchase your product? Outlining the benefits in your email is a great place to start, and placing a benefit in your subject line starts the conversation on a positive note. In just a few words, you’ll show your recipient what working with you or purchasing from you will get them. Subject Line #6: Did you find what you were looking for? Did you have a website visitor who signed up for your email list online? Maybe you have potential customers who have visited your website again but didn’t make a purchase. This subject line, asking them whether or not they found a solution to their problem or the product they were looking for, is perfect for those individuals. If the answer is ‘no’, they might reach out for help, giving you an opportunity to foster the relationship and enhance the customer experience. Subject Line 7: Can I help? This subject line is short, sweet, and to the point. It’s important to always be willing to help your customers from the start of the relationship to the end. This shows that you’re available, and ready and willing to assist them with whatever they need. Just like Subject Line #1, this one should garner an answer. However, the question is tailored to fit the recipient’s unique business, goal or pain point, making it extra-personal. This line can be personalized in virtually endless ways for business prospects and potential customers. Remember to be genuine, ask a question you’d really like to know the answer to, and keep it simple. It goes without saying to follow-up at least 2 to 3 times. Don’t forget to alter your strategy when writing a follow-up email subject line. Cold email outreach is a special beast. You’re trying to get someone to open and read a message from a complete stranger. They don’t necessarily know you, your brand, or your products. Combined with the number of emails we typically receive on a daily basis and our general mistrust of the unknown, that’s a tall order. 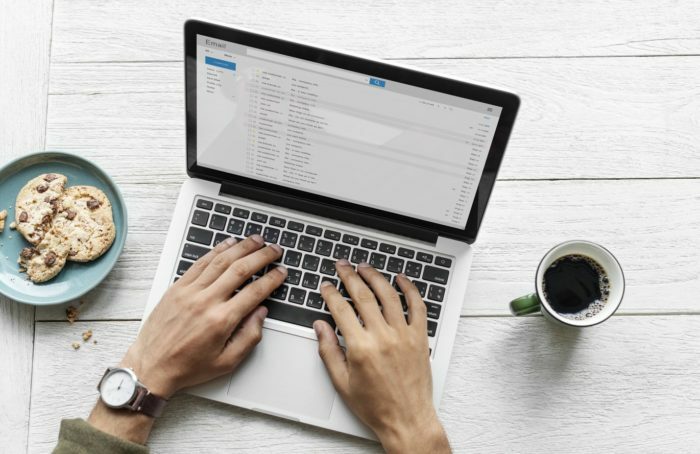 The subject lines above might be used in a cold email campaign, but they’re just as likely to work with current or former customers. So what about cold email subject lines, specifically? Try these four bonus ones to connect with and warm up your prospects. There are few things as powerful as a referral from a friend or family member. While we may not trust ads or promotional outreach, 92% of us trust recommendations from people we know. Make that clear with this subject line. Instead of a stranger, you’re borrowing trust from the known individual. Furthermore, this kind of name-dropping leverages social proof, one of the six principles of persuasion as laid out by Robert Cialdini. It goes without saying – but I’m going to say it anyway – that you should only use this one when you have a legitimate, genuine referral. Don’t fake it. If you’re enriching the leads you’ve collected – and you should – you might find some of the comments they’ve left on relevant blog posts, sites, or social media. Pick an especially insightful, intriguing, controversial, or entertaining one and use it as your ice-breaker in your subject line. It immediately demonstrates that you know at least a bit about them in addition to their email address. Is there any more magical word in the English language than ‘free’? It’s music to our ears. And if that free thing is also helpful or valuable, you’ve created a very compelling reason for your recipient to open and read. They’ll want to see what you’ve got to share with them. Just be careful with the word ‘free’, as some spam filters may flag it if it’s accompanied by all-caps, exclamation points, or excessive emojis. Can I save you 10 hours each week? Can I make your bill collection 25% faster? Can I cut your sales process in half? Can I double the speed of your distribution? If you have a concrete figure to demonstrate how much better you can make their business or life, share it. Just be 100% certain you can deliver it, or don’t say it. Email marketing is proven to be effective, yielding an average ROI of 4,300%. However, in addition to these subject lines, you need a time-saving email tool like Voila Norbert to assist you with email verification, data enrichment, and lead generation. Use Norbert with these subject lines that get results, and you’ll have a strategy that just can’t lose.